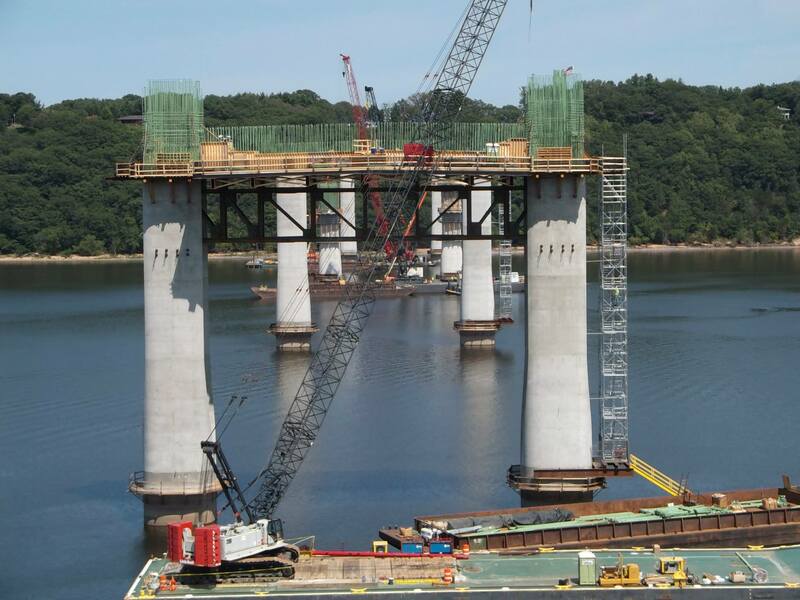 The St. Croix Crossing, the once-controversial bridge project connecting Oak Park Heights, Minnesota, to Wisconsin across the St. Croix River, is still a couple of years away from opening. But we’ve got a better idea of how it will look and whether it will ruin one of the most gorgeous vistas in Minnesota. MnDOT has released a series of animations of a completed bridge. You judge. There’s a ways to go yet. I’ve never understood the argument that this bridge will “ruin the view.” The coal powerplant and smokestack 1000 feet downriver…THAT doesn’t “ruin the view” ? Please. Well-designed bridges can be beautiful, too. I wish it was a standard. The Lowry and 35W bridges are very pretty. Meanwhile in St. Paul, the Lafayette/52 bridge looks like it is going to be ugly. I will not make a cheap shot at St. Paul, I will not make a cheap shot at St. Paul…..
I’ll take an ugly replacement over no replacement. No longer will I have to drive 120mph over that bridge lest it begin falling. I look out over that bridge where I work. The talk used to be about how some day we would see it fall. But they very quickly built a beautiful 35W bridge, they could of slowly built a beautiful Lafayette bridge. I was hoping the Lafayette would be a signature crossing the way other cities have, but it’s Eastern Bloc utilitarian. I think part of the problem is it’s in the path (sort of) of the downtown airport. It doesn’t help that by its location it was going to be a long low bridge. It doesn’t have the high bluffs to arch between. Still prettier than the 494 bridge over the Minnesota. Well Bob… you’re partially right there’s more than you think. The problem lays with everything around the bridge. First off, goes over a hugely active railroad line that can’t be moved, then it must go under power lines that can’t be moved, with barely enough room for a pier before you have to clear the parkland, and FINALLY you get to the river which needs crossing, before probably having to avoid the glide path of the airport. So unlike 35W or Hastings they needed to avoid both obstacles on the ground and in the air, sort of a nightmare really. Off topic but I don’t understand why the cost of a road project ($650M or so for this bridge) is not controversial while a transit project like light rail ($1.2B for the Green Line) is considered a waste of money by many. Doubt it’s worth trying to explain then. There is/was some controversy over this bridge. ^ Understatement of the last 30 years in the Stillwater community. If I recall the location and size were controversial but I don’t remember that cost was. But how will it affect the birds? The birds! Gotta love when republicans mock environmental concerns. Keep it coming. It is one of the key attributes people associate with the republican brand. I found it interesting how the trail video doesn’t confine itself to the doldrums of sitting alongside 6 lanes of traffic by including the opportunity to fly out/around/over the bridge/trail. It’d be a shame to show how many blind intersections or what the roar of the traffic would be like when you can majestically do impossible things. Considering that there’s really nothing built on the WI side of the bridge at the moment, it’ll probably be many many decades until there is any roar of traffic.